(05-08-2015, 10:22 PM)supermariosan100 Wrote: Wow, very very nice, will you be importing all the SMS levels? 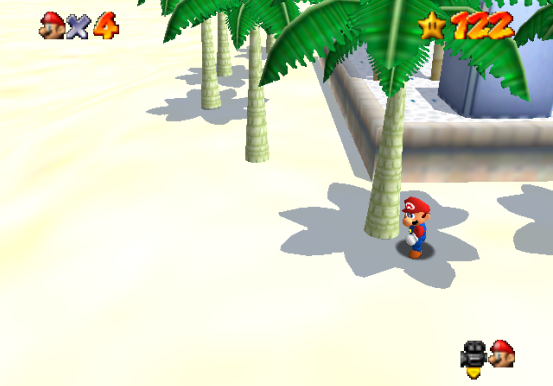 This hack will contain pretty much all the stages from Super Mario Sunshine if I can find a way to get around the game's technical limits. It's been a while since we've done anything for this project, but I randomly had a burst of motivation to continue developing this project along with Team Cornersoft. Here's a sneak peek of what we're developing, more to come soon of course! Madoka Kaname is the love of my life! Nice to see that the project is active again! You and Team Cornersoft really can make amazing stuff so my hype for all of your projects and especially this one and the Mario and Luigi one are very high! Is it the new features that skelux kind-of recently posted about that made you go back to this hack? (04-02-2018, 06:55 PM)Raaskmus Wrote: Nice to see that the project is active again! You and Team Cornersoft really can make amazing stuff so my hype for all of your projects and especially this one and the Mario and Luigi one are very high! For the most part, yeah. Seeing how much more you can do with ROM hacks with the new features made me want to go back to working on this hack since it made things a lot more possible to do. This is looking great so far Pablo! I can't wait to see more in the future. Are you/Team Cornersoft working with Kaze as a merge between his Sunshine experiments and your previous foundation or has this project taken on a whole new scope and being worked on from the ground up again?